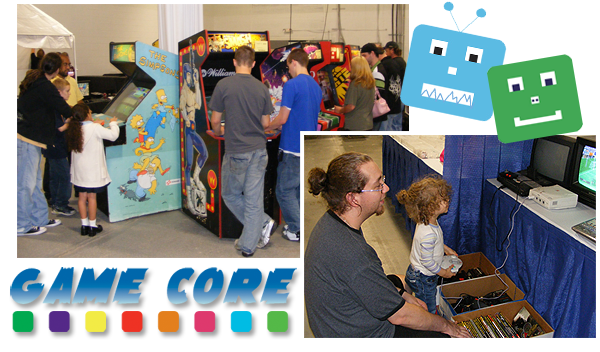 Game Core is a gaming convention in the Philadelphia area of Pennsylvania (USA). It is happening April 30th – May 2nd at the Valley Forge Convention Center, in King of Prussia. Although previously known as Too Many Games, the convention is now entering it’s second year under it’s new name and new organizer, Paul Truitt. The Convention Fans Blog team had a chance to attend the first Game Core convention back in 2009, and we had a really great time (view the photos here). Although we can’t attend this year due to a scheduling conflict, Paul agreed to let us do a quick interview with him about the 2010 convention! If you can, head out to Game Core this year and experience it for yourself! I was at Game Core last year as a vendor and had a really enjoyable time. Paul was very easy to reach. I highly recommend Game Core!